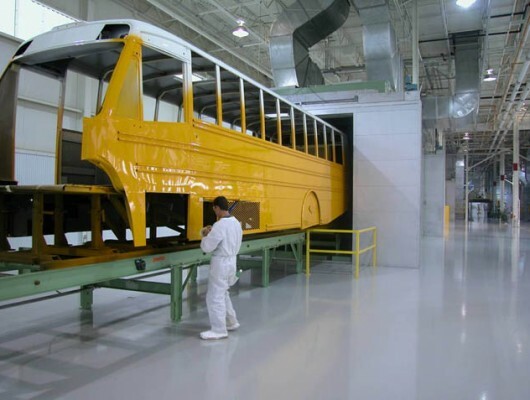 This new facility for Thomas Built Buses produces a newly designed bus type with sophisticated assembly line systems and paint booths. The building houses a showroom for the new bus design. Extensive site development strategies were implemented as the tight site required the staging of many buses throughout the manufacturing process.